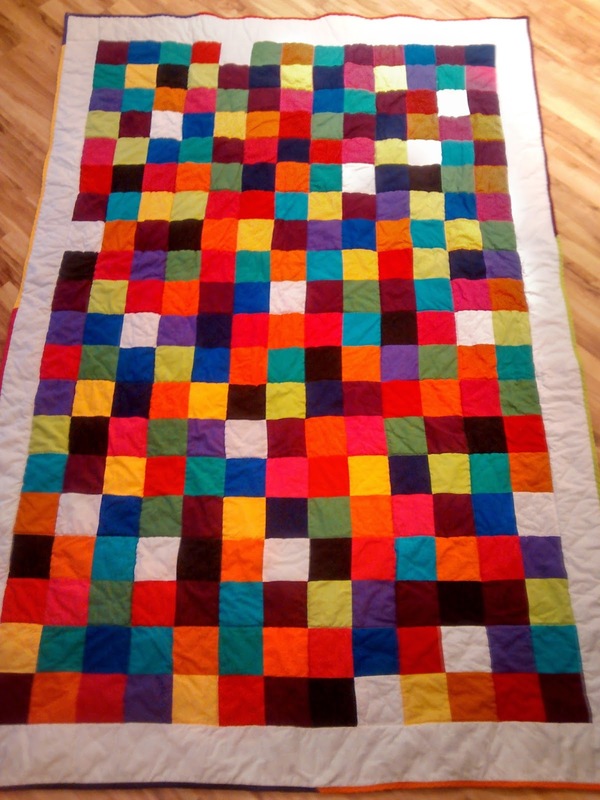 This tutorial is for making a big quilt with small sized patches - the fast(er) way. 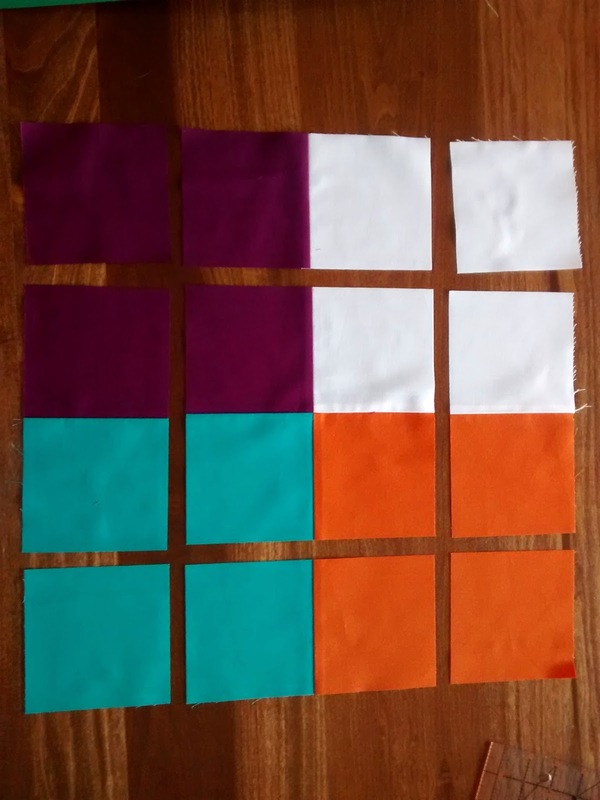 My patches ended up at roughly 3.75 inches squared, which is pretty small. 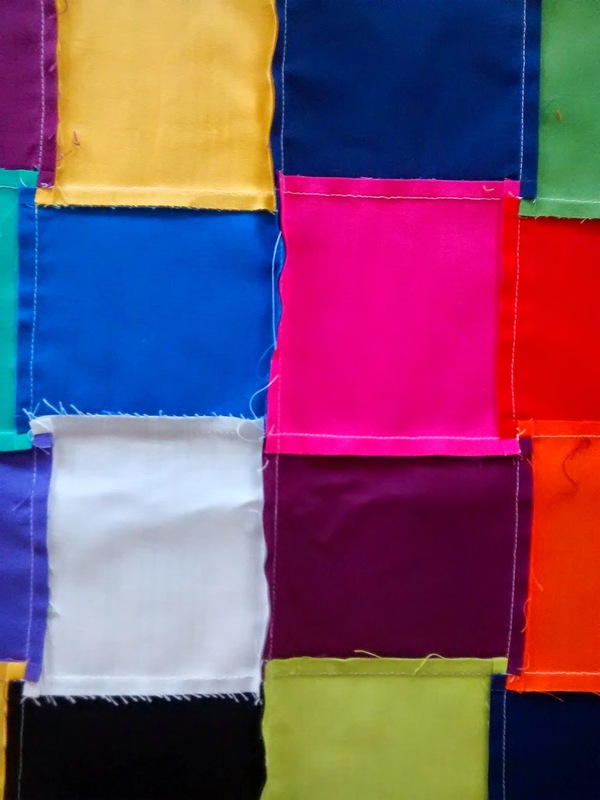 You can use 10" blocks and skip to Step 5, or you can use 1/2 yards of fabric. 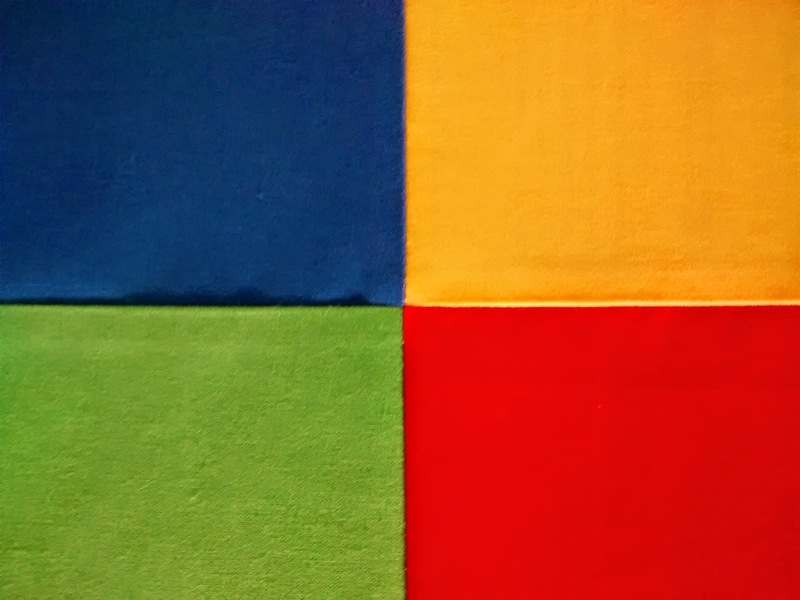 I used 17 colors of fabric - each measuring 1/2 yard for this example. This is a real lesson in nesting seams, which will make your intersections look beautiful. For my example, I'm going to tell you to press all seams to the right - but it really doesn't matter if you press them to the right or to the left, as long as you're consistent. Before you begin - watch this video to help you know what we're going for with the nesting seams. Step 1: Press your fabric in half and cut off the selvage. 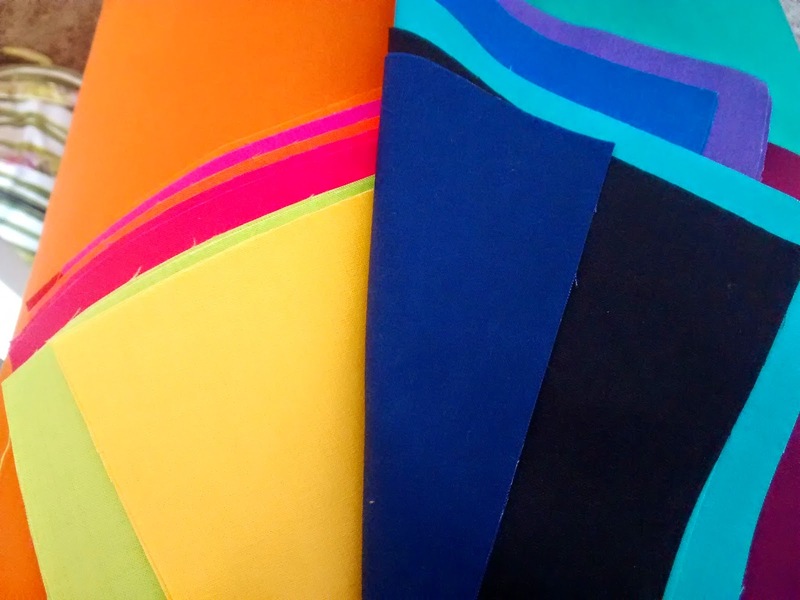 (I cut four colors at a time - if you want to be extra careful, just cut one at time). 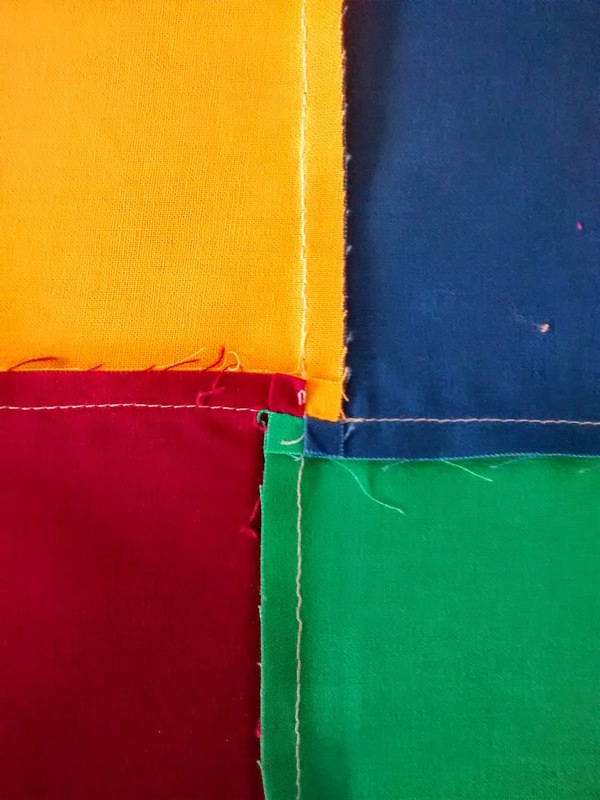 Step 2: Measuring from your clean edge - cut your fabric into 10 inch strips. 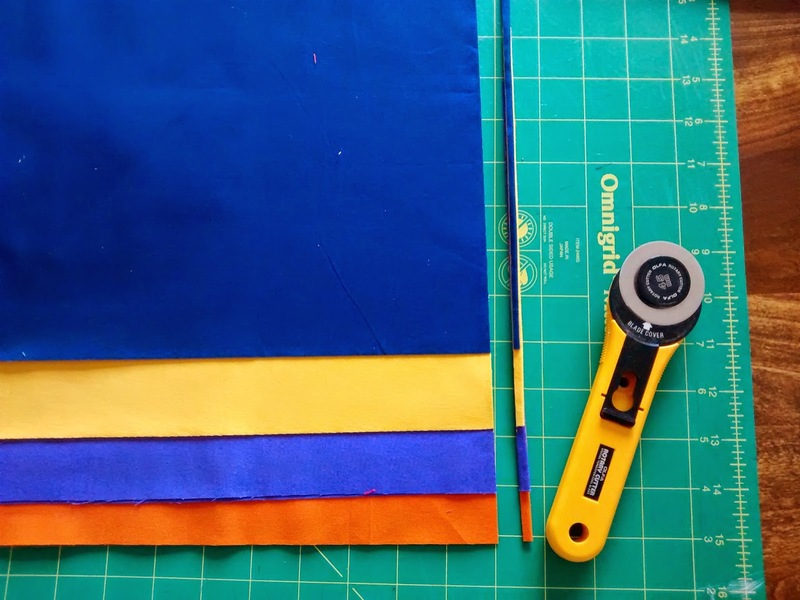 Your strips will now measure 10 inches by the width of fabric - 44 inches). 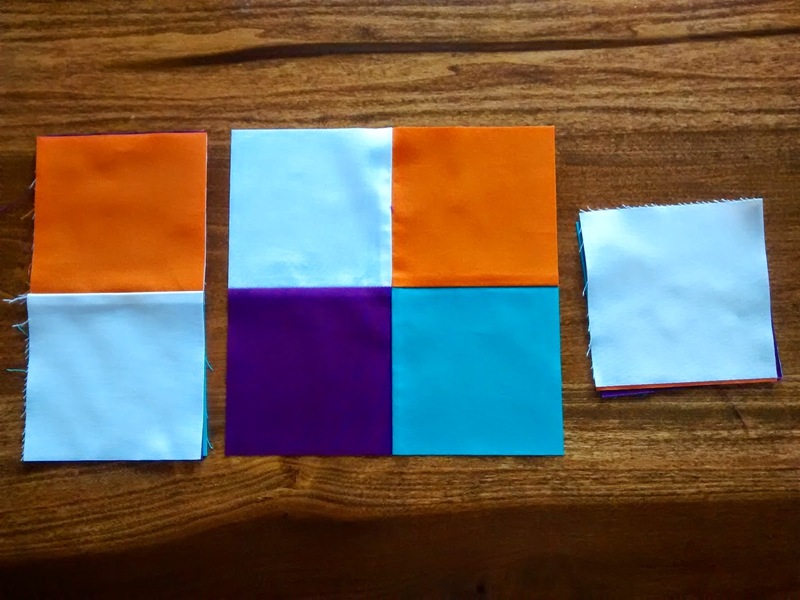 Step 3: Divide your fabric strips into hot and cool colors. 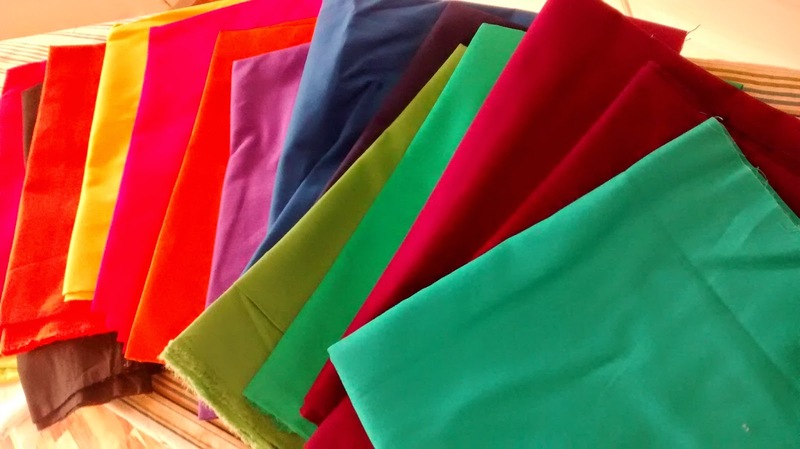 Sew one "hot" color to one "cool" color. Repeat with remaining strips. 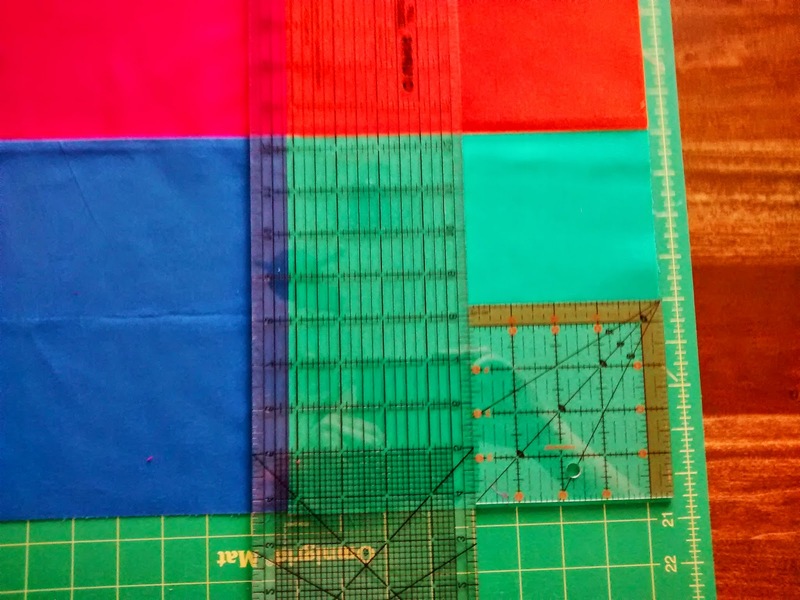 Step 4: Press the seams towards the cool color and then trim strips to be ten inches across, as pictured. 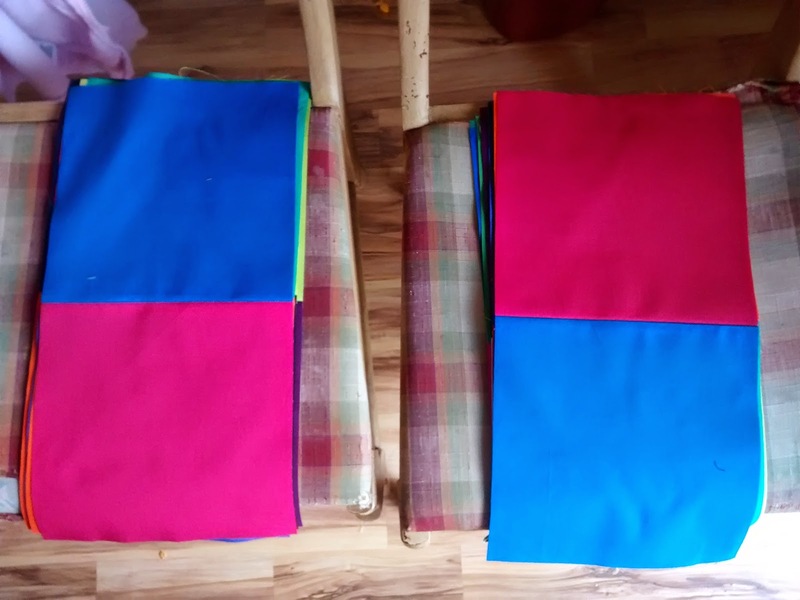 Step 5: Build two piles, alternating the colors as you lay them down. 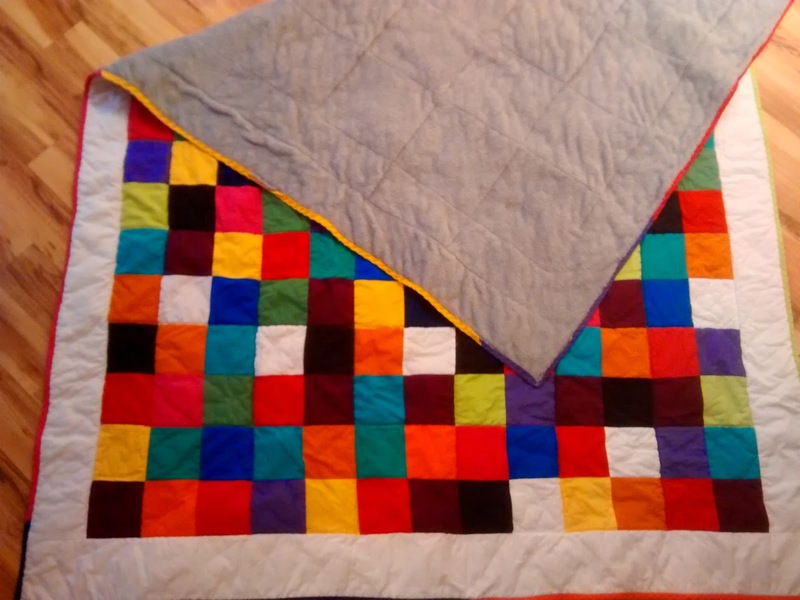 This will help your quilt to be more randomized without having to lay it out a million different ways. 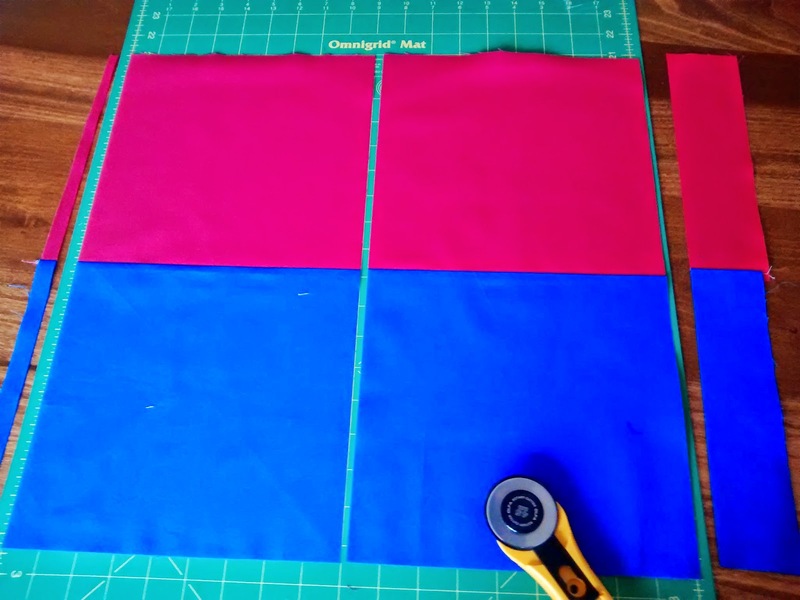 If you are working with 10" blocks, sew your blocks together, and press all seams to the right. Step 6: Nesting seams: Take two of your 2-block strips and sew them together. 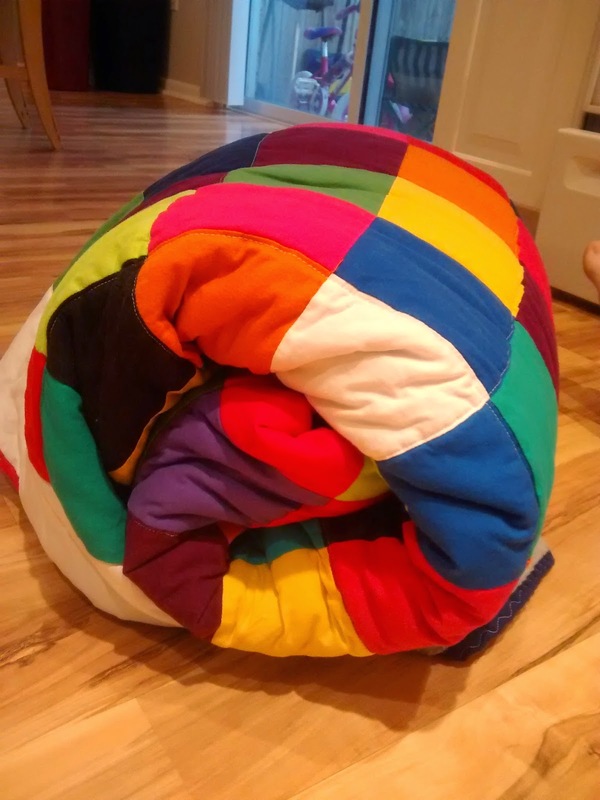 The important thing is that one seam goes one way, and one goes the other way. They kind of "click" into each other and lock in place. 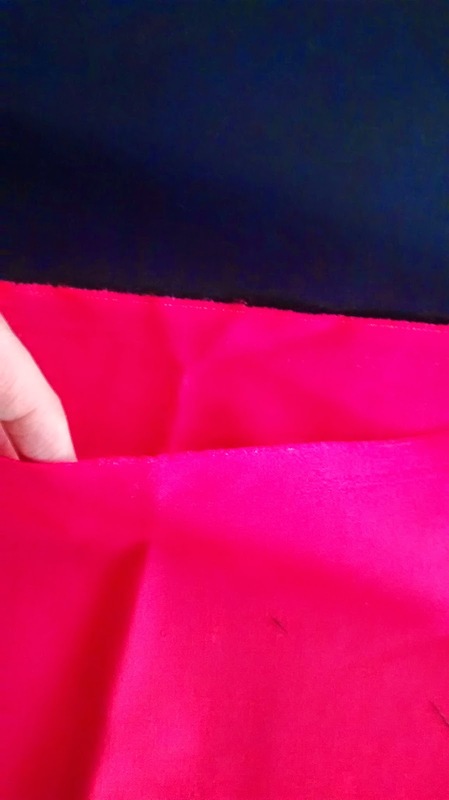 I sometimes like my fingers (even though thats a little gross) and move the fabric till I feel the seams locking. Look how beautiful that intersection is. It is so satisfying. Step 9: Place your cut blocks into three piles. 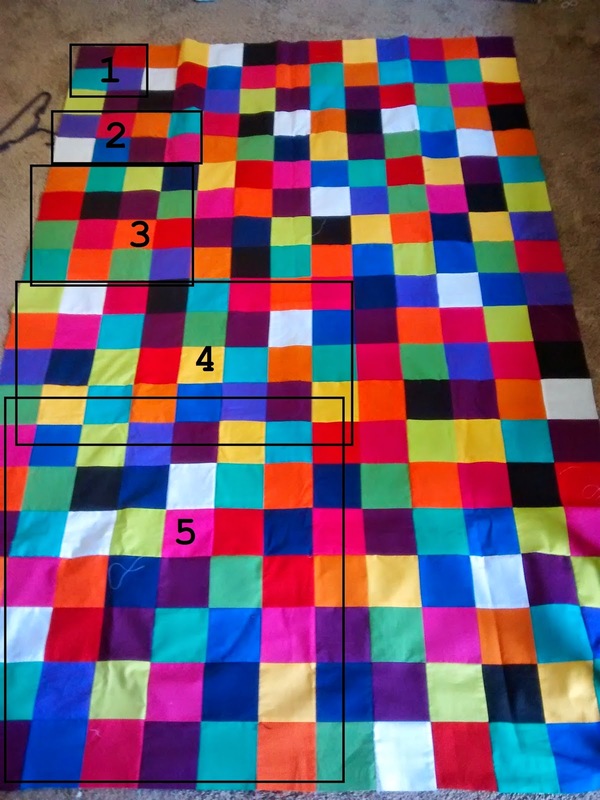 You'll sew the two block strips together, nesting seams just like we did with the big two block seams in step 6. 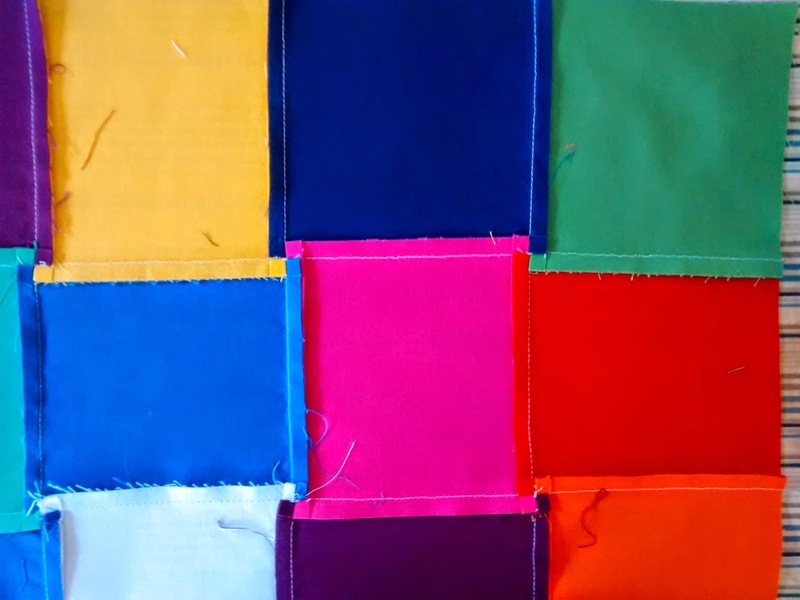 For the single blocks, you'll have to sew them into 2 block strips and then into the four block squares. 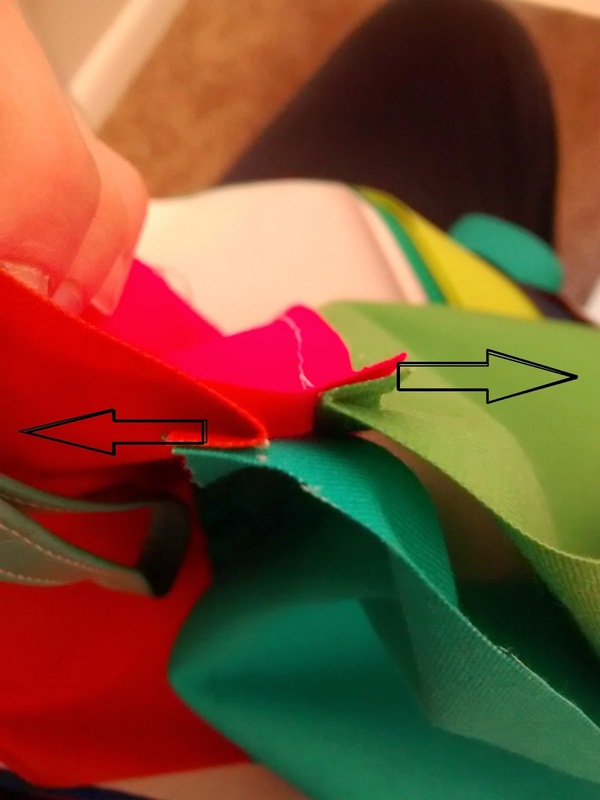 Your nested seams will make little mini four patches on each inside seam (if you don't have those, it's ok...your quilt just won't lay quite as flat). And...ta da! I put a white border around mine and bound it with the scraps from our cutting at the beginning. This was a custom order for a dear friend. I love how it turned out.